recently, i was lucky enough to participate in a truly awesome event — the great food blogger cookie swap! what is that, you ask? essentially, 620 food bloggers signed up to ship 3 dozen cookies — 1 dozen each to 3 different bloggers. some quick math reveals that, yes, that means 22,000 cookies traveled across the world over the last couple weeks. how amazing (+ delicious) is that?! for my cookies, i wanted to make something with a distinctly holiday feel, but also with a little unexpected twist. i remembered seeing that the fabulous jessica had made chai snickerdoodles a few months earlier, + i knew i had found my perfect recipe. a few hours + a couple of sticks of butter later, i had these awesome cookies baked + ready to ship! of course, i made sure i made a couple extra to sample + i was really impressed by them. 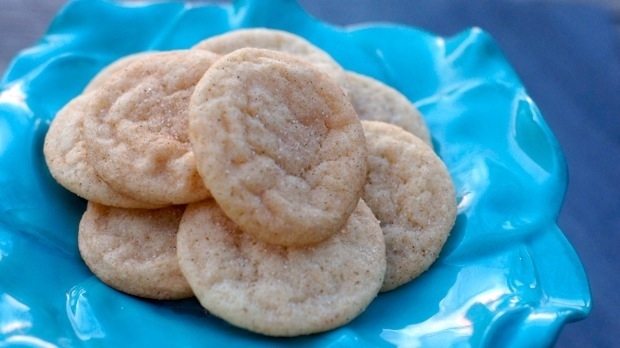 they have a traditional snickerdoodle taste, but with an amazing chai sugar dusting that gives them a delicious flavor + an awesome, unexpected dimension. even my husband, a sweets lover + cookie-eating expert who can be hard to impress, loved them. he also discovered that they’re particularly delicious made into an ice cream sandwich, with salted caramel ice cream in between two cookies. see? if that’s not the move of a dessert genius, i don’t know what is! oh, + what cookies did i receive? some seriously awesome ones! molasses crinkle cookies, chocolate orange toffee crunch cookies + peppermint spritz cookies. i was really pleased with everything that i received, + even luckier that the bloggers behind them are truly awesome women who i’ve loved getting to know through the swap. i’ll definitely be participating in this again next year, both for the delicious cookies, + the fabulous new blogger connections! in a medium bowl, combine dry ingredients (flour, baking soda, cream of tartar, + salt). set aside. in stand mixer, cream together butter + sugar until light and fluffy. add eggs, one at a time. slowly add dry ingredients to wet ingredients, + mix until combined. form dough into balls (about 2 tablespoons of dough for a large cookie or about 1 tablespoon of dough for a smaller cookie), roll in chai sugar mix, + place baking sheet. leave space for cookies to spread. bake for about 14 minutes for large cookies, or 11 minutes for smaller cookies, + allow cookies to rest for 5 minutes on cookie sheet before transferring to a cooling rack. store up to 5 days in an airtight container. try to not eat them all in one sitting. Oh, I am sooo making a couple of batches for the cookie walk fundraiser this weekend! awesome, raevyn – hope they turn out awesome + that the cookie walk fundraiser is a huge success! 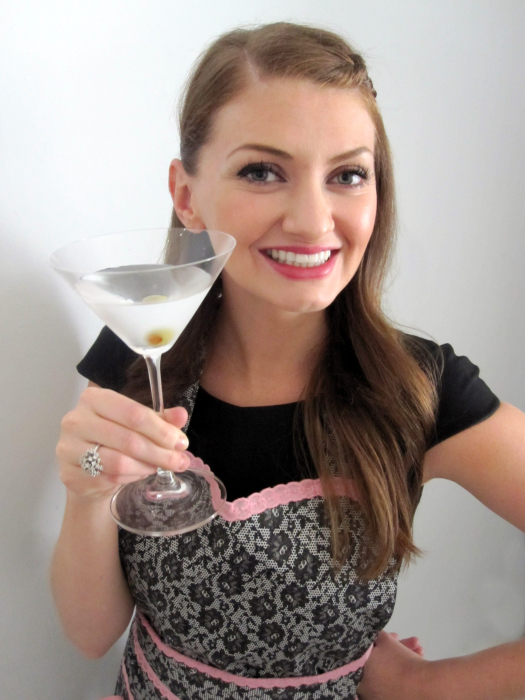 I’ve never heard of this recipe before.. so I am happy I decided to visit your blog today. These chai snickerdoodle cookies look absolutely amazing. awww, thanks! glad you made your way to my blog + thanks for your kind words! omg. that sounds SO GOOD.